“3D planetary engine for seamless planet rendering from space down to the surface. Can use arbitrary resolution of elevation data, refining it to centimeter resolution using fractal algorithms. 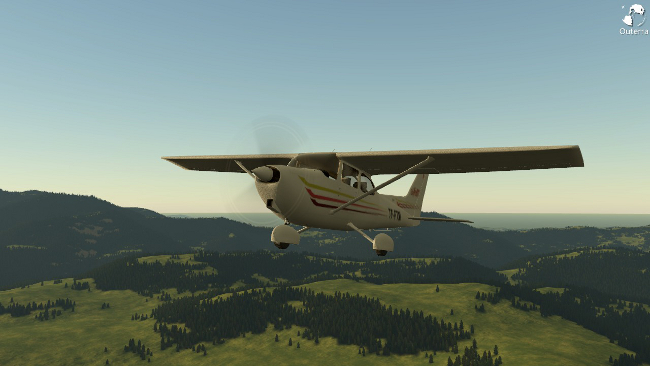 Unlimited visibility, progressive download of data, procedural content generation, Integrated vehicle and aircraft physics engines. Planetary engine that can be used with elevation dataset with arbitrary resolution, while being progressively enhanced by parametrized fractal refinement algorithms. The fractal algorithms refine and introduce details down to centimeter or milimeter resolution and can be parametrized by elevation and climate data. A completely random fractal terrain is possible too, or a terrain sketched in rough resolution with fractal generating the details. Outerra is a unique 3D rendering engine, a world rendering engine capable to seamlessly render whole planets from space down to the surface. It can use arbitrary/varying resolution of elevation data that it further dynamically refines using fractal algorithms. 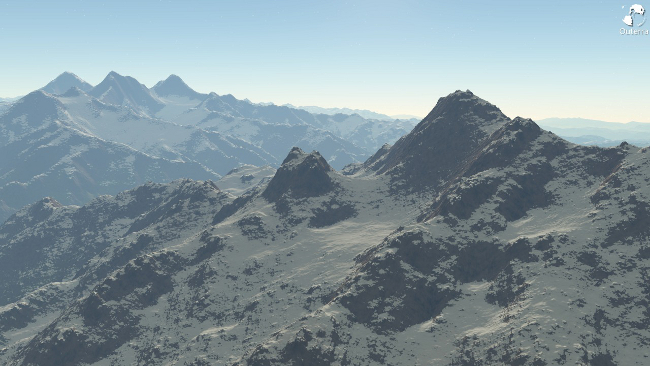 The fractals try to mimic natural processes, generating fine, believable terrain with high resolution. 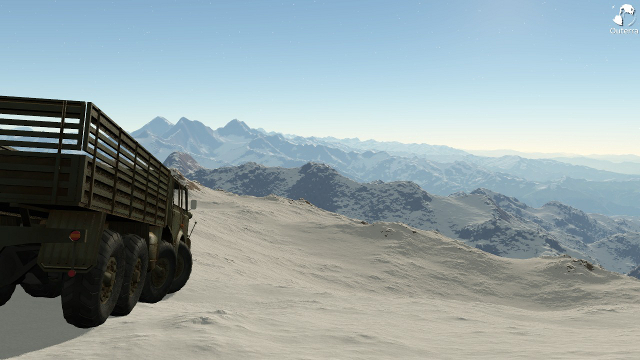 The world is also being dynamically textured and populated with vegetation using predefined land type material sets and the computed terrain attributes. In a similar manner all other data sets are to be treated – the fractal refinement process taking on where the actual data resolution ends, creating natural land type and climate transitions along with characteristic vegetation distribution. * I asked to one of the outerra members if I can get some information of their technology and if I can write a post. ** Outerra is not a virtual world technology, it is a 3d planetary world. This entry was posted in Start and tagged 3d Planetary World, Advanced 3D Technology, Future of ·3D Worlds, The Next 3D Generation on June 9, 2012 by Xpontaneus.